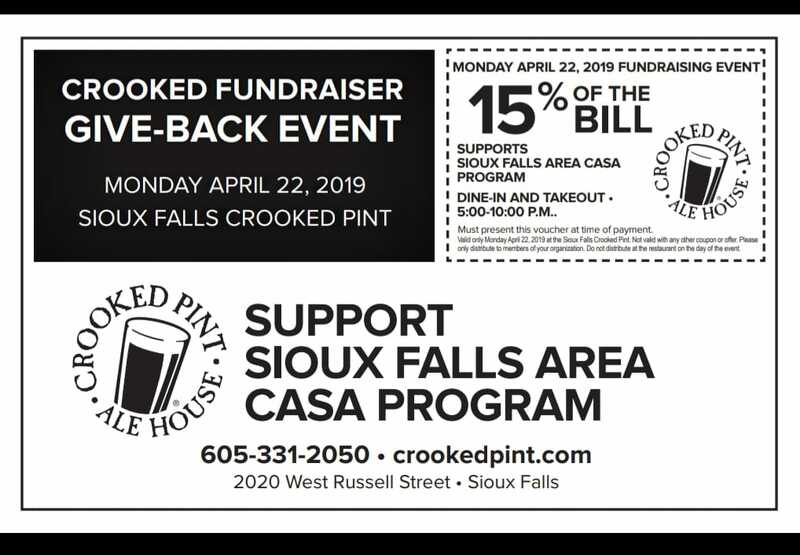 Bring this coupon, your love of appetizers and great food, and eat with us from 5pm to 10pm as we support CASA and national child abuse prevention month. 15% of your bill benefits SF CASA!! We look forward to seeing you all there on Monday, April 22. Thank you Crooked Pint! !